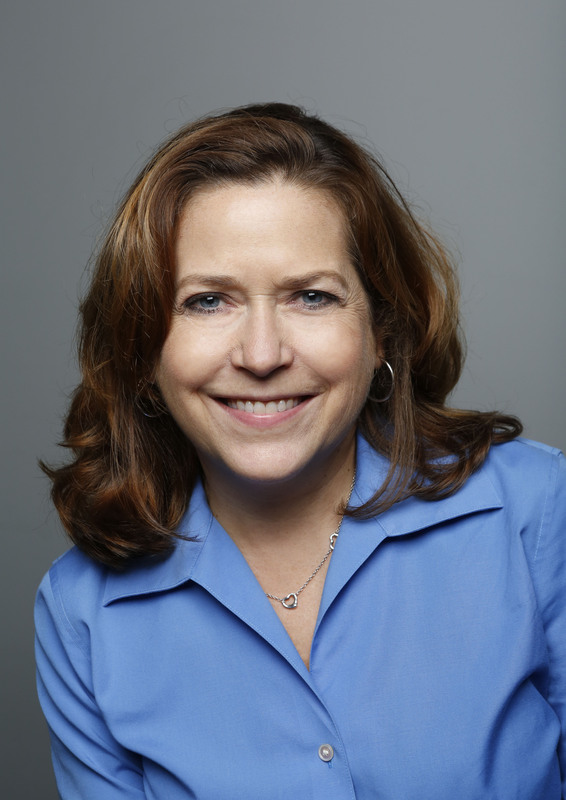 Josephine D’Ippolito here, guest blogging for Hudson Valley Restaurant Week. This has been a delicious week as I’ve had the chance to visit four establishments participating in this semi-annual culinary event. I’m happy to report that in my travels, no menu was as comprehensive as that of my final stop: Gaucho Grill, a young White Plains eatery boasting specialties in both Argentinian and Italian cooking. Located on the first floor of an office building, with a separate entry on North Broadway, Gaucho Grill is deceptively large and quite beautiful, with multiple dining rooms and a stunning bar area. The blend of masculine and feminine design components throughout the space is modern and refreshing. Large-scale black and white cowboy images cover the walls while sparkling crystal chandeliers hang from the ceilings. Huge pieces of cow hide embellish numerous surfaces while two dainty roses adorn each table. It is simultaneously lovely and cool. On to the menu. Gaucho Grill’s choices for restaurant week are plentiful, offering four items for appetizer and six for entrée. 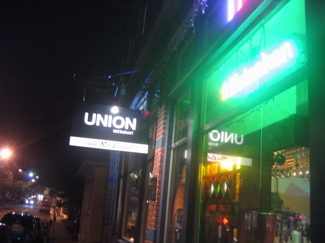 Each item on the menu is unique, allowing the restaurant to satisfy widespread tastes and stay true to its promise of both Italian and Argentinian-steakhouse fare. For our first courses, we tried the chicken empanada and the strawberry goat cheese salad. 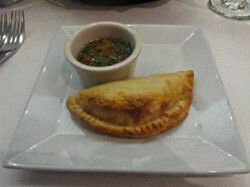 The empanada was light and flavorful served with a fresh and vibrant chimichurri, which escalated this humble food into something special. 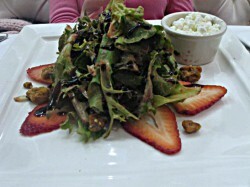 The strawberry salad, with candied walnuts and a delectable fig goat cheese, was very good. For our second courses, after much deliberation, we went with the Gaucho Argentinian burger and the lemon sole. 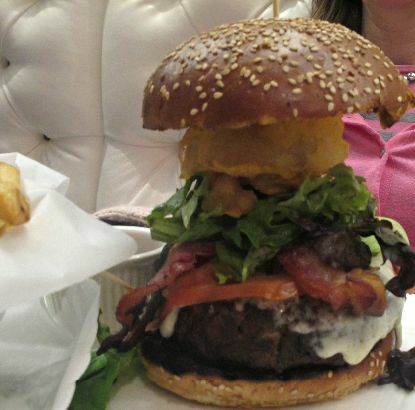 The burger was spectacular. 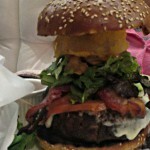 About 8 inches tall, it featured out-of-the-ordinary toppings like avocado and fried onion rings. It was thoroughly enjoyable. The sole, while not as guilt-inducing, was just as pleasurable. 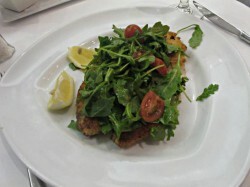 Encrusted in panko and topped with arugula and a light vinaigrette, this relatively simple dish was positively scrumptious. We would have been completely satisfied ending our meal after the second course, but it is restaurant week after all, and dessert is included, so we soldiered on to our sweet finish. 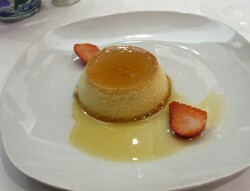 We opted for the flan and tiramisu. 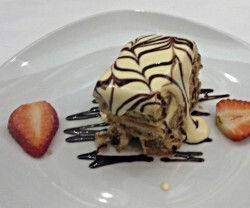 The flan, a nice, light custard, was ok, but the tiramisu, maybe because we havent had this dessert in ages, was exceptional. Almost too pretty to eat, the combination of the spongy lady fingers with espresso and cream, at once reminded us why this dessert became so popular in the first place. If the point of restaurant week is to offer a sampling of your food to entice people to visit more regularly, Gaucho Grill succeeded. 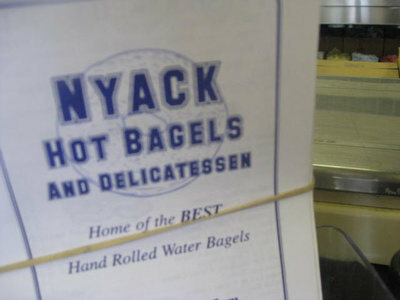 There were a few small mishaps; the service (while friendly) was slow considering this was a weekday lunch and the seating was curious as we were wedged between two full tables when there were open ones available. That said, the food and space at Gaucho Grill are beautiful, delectable and certainly worth many return visits.